ELEMENTOS FILTRANTES Hay 19 productos. 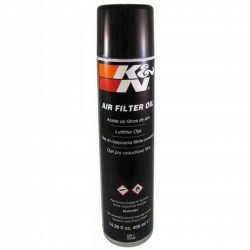 FILTRO AIRE LAVABLE Y REUTILIZABLE K&N. DISEÑADO PARA AUMENTAR LOS CABALLOS DE POTENCIA Y LA ACELERACIÓN. NO INVALIDA LA GARANTÍA DEL VEHÍCULO. FILTRO DE AIRE DRAG SPECIALITIES LAVABLE Y REHUSABLE. AUMENTA LA POTENCIA Y ACELERACIÓN. MADE IN USA. FILTRO DE AIRE K&N PARA VICTORY﻿ OEM 5813074 ﻿ APTO PARA ; ARLEN NESS JACKPOT 08/ BOERDWALK 13/ CORY NESS JACKPOT 08-10/ HAMER 8-BALL 11-13/ HAMER S 08-13/ KINGPIN 08-12/ KINGPIN LOW 09-10/ KINGPIN 8BALL 08-11/ KINGPIN TOUR 08-10/ VEGAS 08-12/ VEGAS JACKPOT 08-12/ VEGAS LOW 08-10/ VEGAS 8 BALL 08-13/ ZACH NESS VEGAS 11-12.